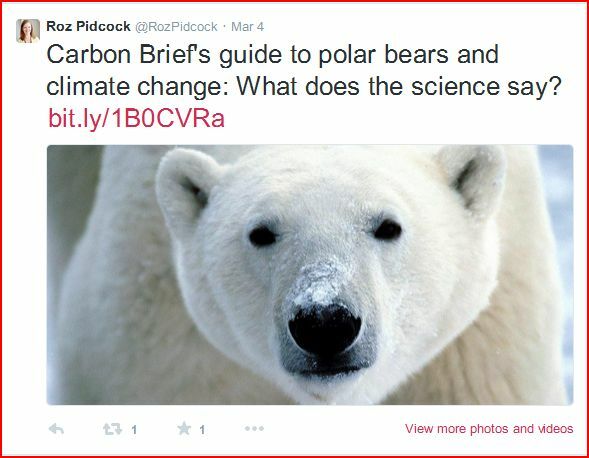 Posted on March 13, 2015 | Comments Off on PolarBearScience has been ‘Carbon Briefed’ – success at last! Not just anyone warrants the attention of the European rapid response team: only those who get media attention and refuse to stay ‘on message’ about global warming issues get the Carbon Brief treatment. After years of being ignored, I have finally been acknowledged as a worthy adversary [a force to be reckoned with] by those who spin the science of polar bears. Carbon Brief folks got their knickers in a knot over my “Twenty Good Reasons Not to Worry about Polar Bears” blog post that the Global Warming Policy Foundation released as a Briefing Paper (pdf here). All timed for release on International Polar Bear Day (27 February 2015), which got mainstream media attention galore in the UK. 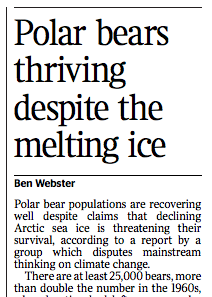 Journalist Ben Webster over at The Times responded to the GWPF press release with a few of my points (“Ice is melting but the polar bears are fine, say skeptics”), without contacting anyone to knock down the GWPF, my summary – or me (subscription only). He simply reported the gist of what was said. February 27, 2015, The Times. 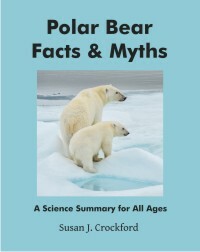 Due to The Times piece, the BBC gave it a mention on the 6 am radio news, preceded by a caveat that this good news about polar bears came from “a group” (GWPF not mentioned by name) that “disputes mainstream thinking on climate change” (listen here, starts at 10:14, but only available for another 15 days). Even James Delingpole, a fabulously witty commentator who writes over at Breitbart London, devoted uncritical column inches to the polar bear issue — uncritical of me, I mean. 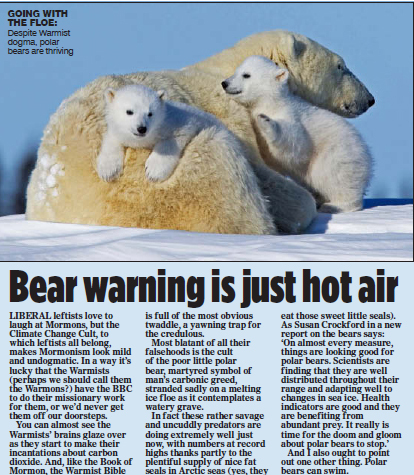 The next day, (Sunday (March 1), Peter Hitchens gave the good news about polar bears centre stage in his one-page commentary, titled “Bear warning is just hot air,” screencap below from the pdf of the hard copy provided by the Pidcock. From the hard copy of the Mail on Sunday, Peter Hitchens comment (March 1, 2015), online here. Click to enlarge. Only the Express, another UK newspaper, felt the need to contact a dissenting voice from the World Wildlife Fund [is a WWF spokesperson an actual “authority” on anything but impending doom?]. He insisted that there’s no reason to be optimistic, as the future for polar bears is dismal, but didn’t actually say any of my 20 points were wrong. Well, you can see that the folks at Carbon Brief really had no choice! They could not let such mainstream media exposure stand unopposed; this upstart zoologist Dr. Susan Crockford had to be taken down. After a mention by Carbon Brief the day The Times article appeared (27 February), Roz Pidcock got the assignment to dismember my briefing paper summary and me personally. 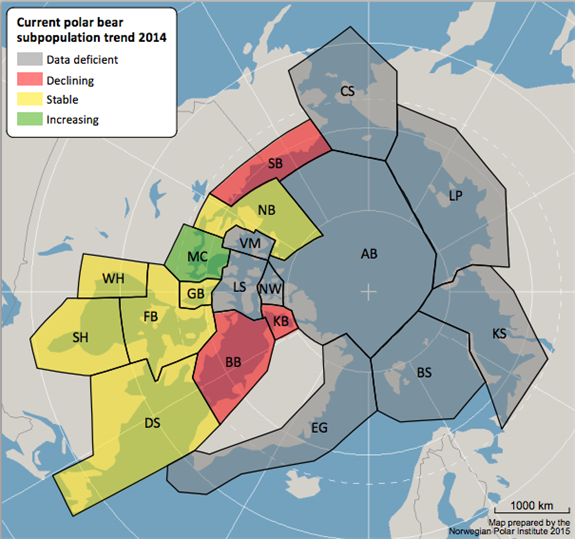 Her piece appeared on March 4 (“Polar bears and climate change: What does the science say?”). 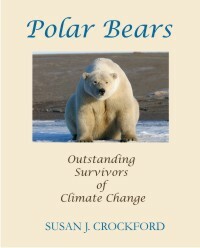 Pidcock also contacted polar bear biologists Andrew Derocher (University of Alberta) and Stephen Amstrup (Polar Bears International) for comment. “The argument that recent conservation efforts have been successful “doesn’t address the globally recognised current threat to polar bears from climate change”, notes Derocher. Rather says it all, doesn’t it? Derocher does not see that his insistence on polar bears being on the threatened list, because of something that might happen in the future, reflects his own bias. PBSG biologists are furious that Canada won’t bow to their exalted “expert” opinion. The last IUCN assessment was in 2006, not 2008, and it was based on a predicted decline of more than 30 percent in 40 years, not an actual decline, which I described in detail here, based on actual documents I read thoroughly and cited. Another blatant error for Pidcock. She then goes on to repeat the polar bear spin provided by Derocher and Amstrup, giving particular emphasis to Amstrup’s critically-flawed predictions of polar bear demise (covered here). Is she really implying that extrapolation from a subsample of counted individuals is not how all population estimates are made, for virtually all species? 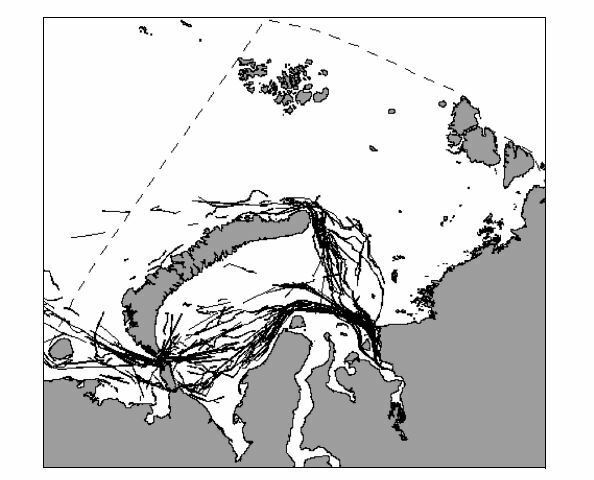 See my original summary of the Kara Sea study here, which includes a map of their survey (copied below): I’d say they surveyed much more than 1% of the Kara Sea area, wouldn’t you? I’d call that another obvious Pidcock error. She then goes on to quote the most vocal proponents of polar bear doom (Amstrup and Derocher) regarding their low opinions about me. These actually say more about them than me. Are you surprised that field biologists like Derocher and Amstrup think only people who work with animals in the field can possibly know anything about polar bears? I dealt with that ignorant, self-serving notion yesterday. Amstrup’s comment simply shows he has reading comprehension problems and/or was too lazy to read the briefing paper carefully before criticizing it: the introduction to the briefing paper states clearly that the links provided lead to detailed blog posts that contained background, maps and extensive references. The links in the pdf are hot – they go directly to the blog posts cited on each topic. 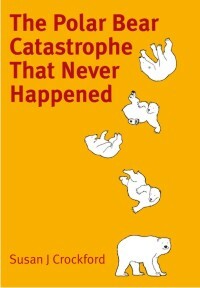 Derocher used the lamest put-down in the book, suggesting that because I am an expert in “dead dogs” (a phrase used primarily by internet trolls), I cannot possibly be an expert on polar bears as well, a nonsensical notion I also dealt with yesterday. This is an admission that polar bears are doing fine right now. The fact of the matter is, these folks depend on predicted declines in population health and size, that might occur decades from now, to make their case. You could believe the computer model prophesies of doom – or, you could acknowledge that that polar bears are much more resilient than PBSG biologists give them credit for, which is what recent studies summarized in my briefing paper indicate. Funny, I don’t feel taken down by this lame Carbon Brief effort and doubt if many readers were convinced either. Actually, I doubt that many people even read it. 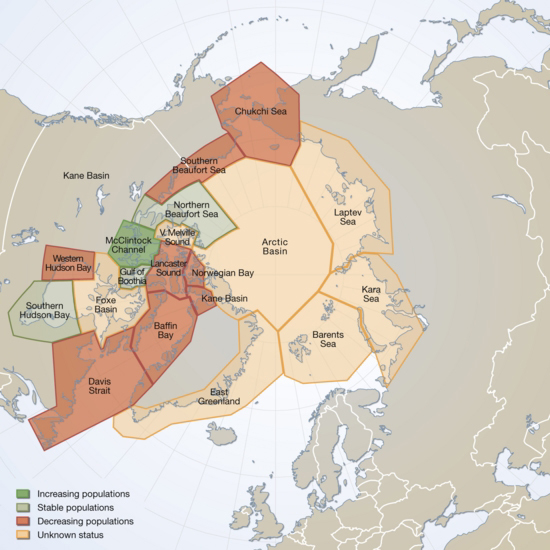 This entry was posted in Advocacy, Summary and tagged Amstrup, BBC, Carbon Brief, declining population, declining sea ice, Derocher, GWPF, IUCN Polar Bear Specialist Group, Kara Sea, media attention, PBSG, polar bears, population estimates, rapid response team, The Times, threatened, vulnerable, Webster. Bookmark the permalink.